Hello Joie De Vivre Yelp Elite event! 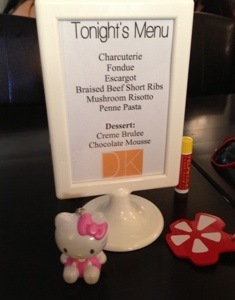 Tonight I got to go to Joie De Vivre Yelp Elite event at lovely Dominique’s Kitchen in Redondo Beach! It is a small restaurant that feels like a little house. The folks there are friendly and treat everyone like family. 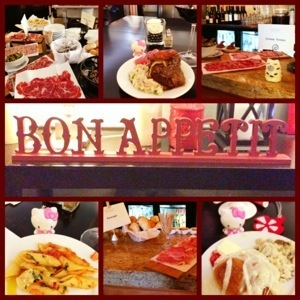 Yelpers were treated to quite a menu of delicious Euro-French cuisine! From the various charcuterie to the meat lover’s beef short ribs to the red velvet red wine to the divine desserts, yelpers were treated to quite a French feast! 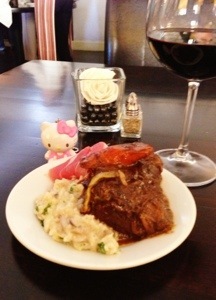 I first tried the braised beef short rib and mushroom risotto! The beef short rib was so tender and tasty! There were soft carrots added in to give extra flavor. The mushroom risotto was delicious as well! It had portobello, shitake and oyster mushrooms mixed in with garlic and parmesan cheese. The creamy risotto paired well with the moist beef. These two were my favorite savory dishes of the night! The cheese fondue was the next thing I tried. The cheese fondue was so thick! 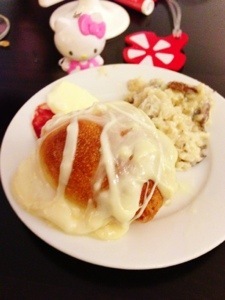 It was a nice topping to the various breads that they had. 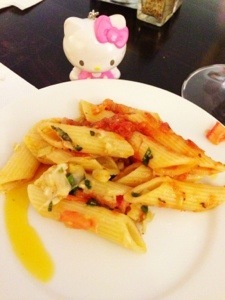 There was also a lovely vegetarian pasta offered. The noodles were soft and the sauce light. It was a good dish with basil shallots, tomatoes and sautéed garlic. 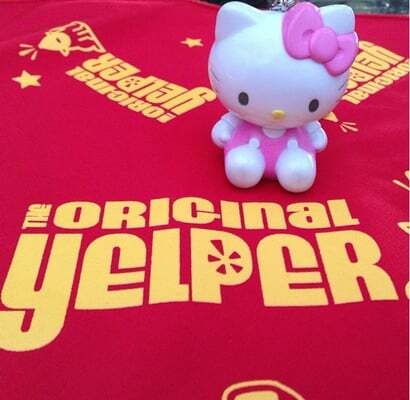 For dessert, yelpers had the choice of chocolate mousse or creme brulee! 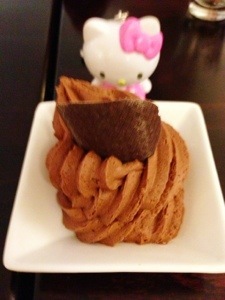 The chocolate mousse was dark chocolate deliciousness! It was smooth, rich and delicious. 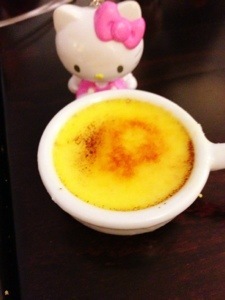 The creme brulee was my favorite! It had a slight crisp top and soft, creamy base. It was the perfect little treat! It was a wonderful Yelp elite event at Dominique’s Kitchen! I loved all the various Euro-French cuisine offered! 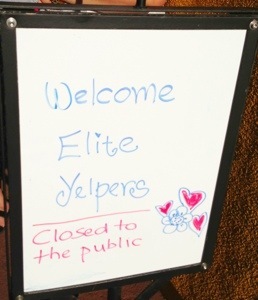 For more smiles, please see my recent yelp review the Joie De Vivre Yelp elite event.